Further to our post of several days ago, here's the story behind that 'big cat' footage. THE mysterious Macarthur panther has been spotted again - but this time a glimpse of the animal has been captured on film. Camden’s Paul Fuller and Jarred Seedsman, both 17, were trailbike riding in bushland at Appin on Tuesday when they filmed the panther-like creature. It is believed to be the first footage ever shot of the elusive beast, which has been seen repeatedly across the Macarthur and Sydney regions for more than a decade. Jarred was filming their ride near the Appin motocross centre using a mobile phone attached to his bike’s handlebars. He captured Paul’s shock at seeing the cat as well as the creature crossing the track ahead of the riders. Paul described the animal as unlike any other he had seen. The boys went home after the sighting to research the animal on the internet. “When I found a picture of a panther I thought ‘yeah it looks exactly like this’. It would have been above my knee in height, about two foot, and its tail was really long. It had a fat face, short nose and it was all black,” Paul said. Both teens are adamant they saw a panther, not a dog or feral cat. 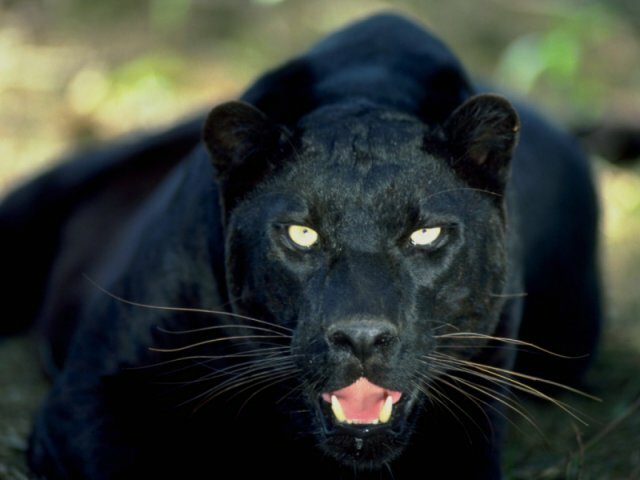 Last week’s sighting follows dozens of reports from residents to the Macarthur Chronicle of a big cat from Macquarie Fields in the north to Bargo in the south. Greendale resident Elizabeth Tabone said her sons saw a large cat around the same bush area in Appin last year. “Yeah, I’m definitely convinced it’s a panther - my boys wouldn’t lie and they had such a shocked look on their face when they got home that night,” she said.